Wow..onto your blog after such n such a long time. My last participation in BAT was long ago - missed yr blog all together thereafter. Glad to be bk - great Ode to AMITABH - but for a man of his stature - we will always fall short of words. Happy Bday to the Truly Humble Living Legend. I really love AB. The guy was the one we grew up on. His looks were just my type. I have loved his earlier movies. I loved him in Chupke Chupke and Yaarana. Have you seen Saudagar -- an offbeat role that is one of my favorites. I loved him in Kabhi Kabhi too. And, of course all the ones that you've mentioned. I dug his cameo in English Vinglish. He is so good in comedy, romance, action and so very humble and down to earth. He looks so much like my dad and that definitely adds to his charm in my eyes :). Lovely post with all the famous dialogues. After watching him in Anand, in 1972 at Sterling (Bombay) I had predicted that "that tall lanky fellow in white is going to be the one to look out for"
You must have spent a lot of time collecting and jotting down these hit dialogues. Deewar and Sholay are the best! Javed Akthar or other dialogue writers might have penned up these lines, but the way Amitabh ji renders them with his baritone gives another edge and meaning to these iconic dialogues. A legend, no doubt. But of late he and his family put me off completely! However, that can't take aware from his fantastic acting and delivery of lines! Thanks you and I agree that there are no words which will justify his stature. Thanks Roshan :) Yeah most of us remember these dialogues by heart, right? 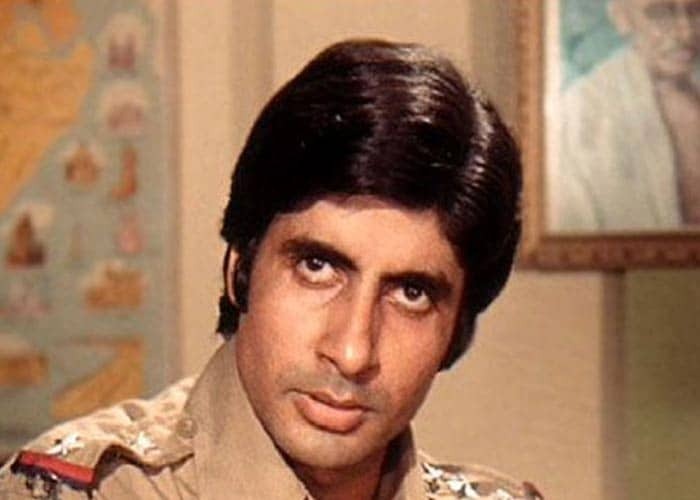 Thanks Akanksha :) Ah well Amitabh is in a different league altogether..you cannot compare him to anyone..
Wow I was not even born then :P Yes he was very good in Anand..
Oh that is media giving you an overdose. Amitabh is no doubt a fantastic actor and an orator. I love it when he speaks shuddh Hindi. Very few old actors can garner that much respect and adulation. He is a legend for sure , I am a fan of his for sure but I did not like a time when he was doing the same role in each .. he has come back after so many flops and is doing so very well .. I do admire him as a actor for sure.. But I also know of a few personal things for which I dont like him as a human being.. but then i guess we all have our good and bad ..
on the whole he is worth admiring for sure ..
Ohh I love his voice - Absolutely love it - I remember at Khajuraho we went to watch the Hindi light and sound show simply because he was doing the narration ! And you must listen to him narrating his fathers poems. Simply enthralling to hear him recite them ! Yeah I too have skipped many of his movies like Shehenshah and the atrocious ones he did as his comeback. As for his personal life, I hardly know anything about him and most of them are rumours. Thats an iconic list! The guy's like the phoenix - risen from ashes - more than once! Really enjoyed reading this. Thanks Deepak :) I am glad you had fun reading the post..